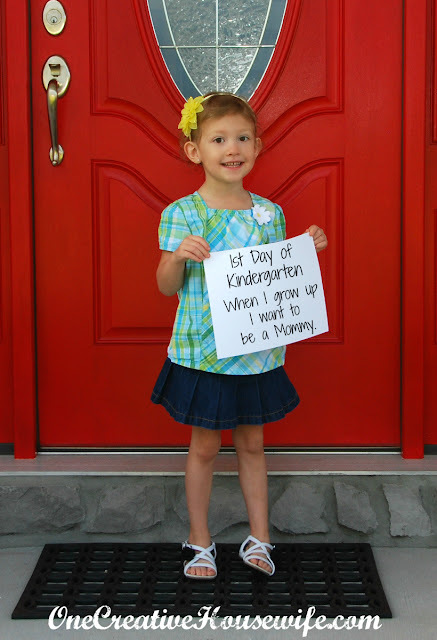 Today was my daughter's first day of kindergarten. I have been worrying about this day since she started preschool. Tons of things have run through my mind, but one that kept nagging at me is that when she is nervous she whispers or doesn't talk. I kept thinking, "what if she won't tell someone where she belongs" or "that she is a car pick-up". I kept envisioning my 31 pound, 5-year-old getting lost amongst the morning or afternoon shuffle. 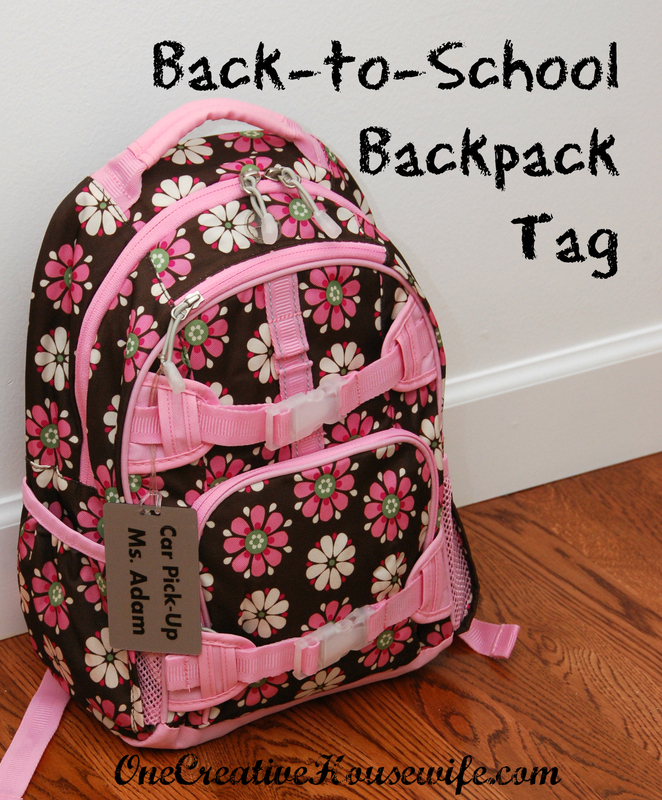 To make myself feel a little better, I made a tag for her backpack. The tag lists her homeroom teacher's name and that she is a car pick-up kid. This way any teacher who helps her knows where she belongs. I just used an old luggage tag we had on hand, and used my Silhouette SD to cut vinyl to apply to it. I then attached it to her backpack. At the very least, I know that when she has her backpack they will know where to send her. Amazingly, there were no tears when I dropped her off at school in the morning. Lunch time and quiet time were tough here at home for my son. He missed her so much, he even took his nap with one of her toys because he missed her so much. My kids are looking for a good looking backpack like this. I will tell them that I already found a great and cute bag for them thank you for posting. Great! Thanks for stopping by! !